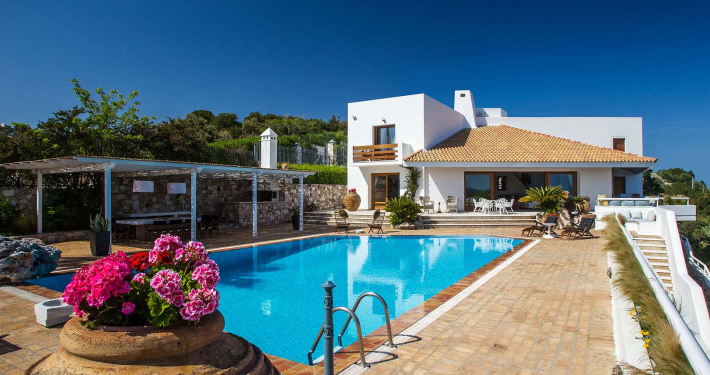 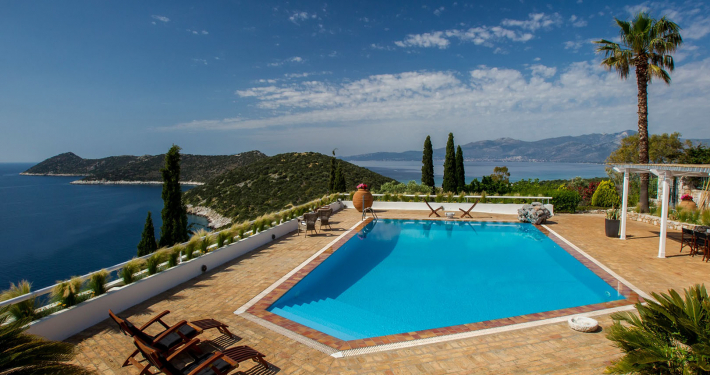 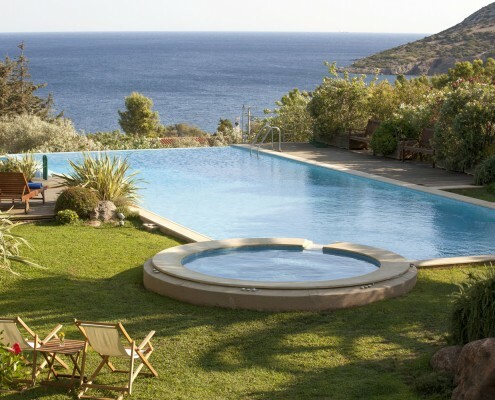 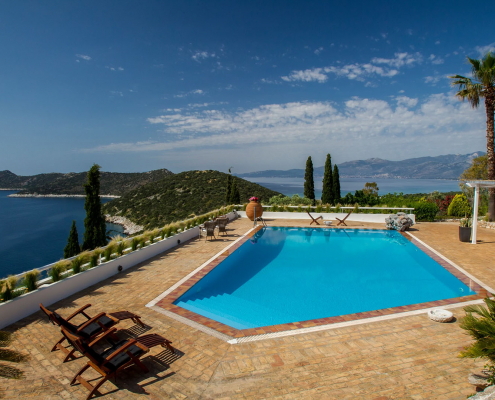 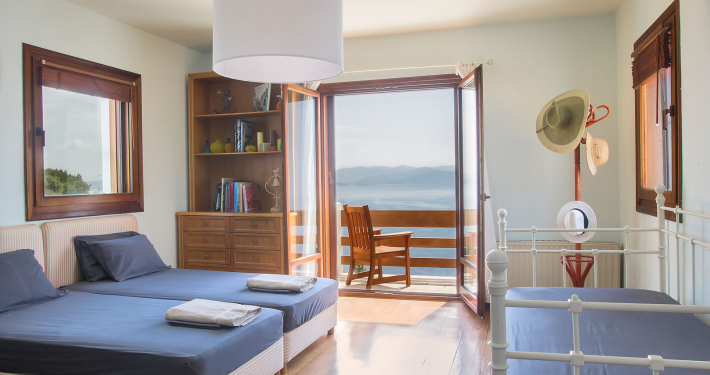 Set atop a hill that overlooks the Big Aegean Blue and just a breath away from the historical battlefield of Marathon, this endearing Villa could likely be your getaway retreat. 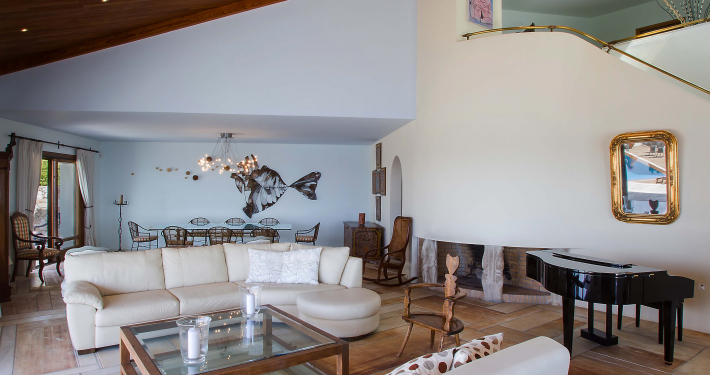 The combination of elegant construction materials, designed and decorated in a fine yet unpretentious way, is giving one the feeling that is welcome and embraced. 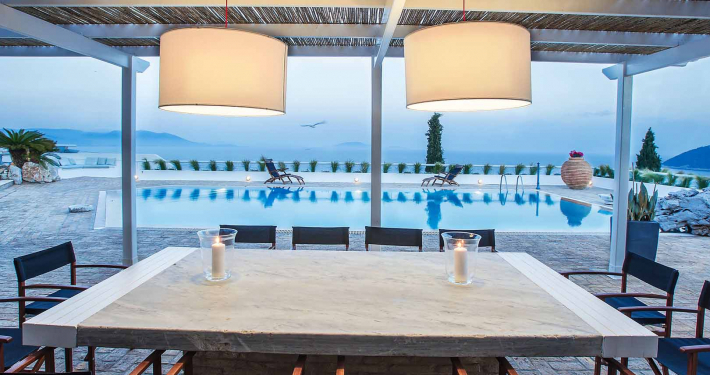 The pool area, along with other outdoor spaces, such as the quaint balcony sofa or the Pergola Dining table, are all enjoying dazzling peripheral views, thus creating a true relaxation atmosphere, while you drink a cocktail by the pool or you relish some home cooked meal, in merely the sound of the sea breeze. 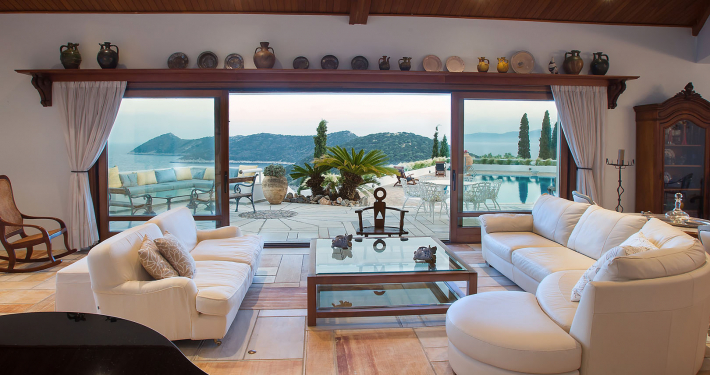 The House consists of two levels, the lower of which has a spacious living room with stunning Dionysian marble floors, reminiscent of old traditional Athenian homes. 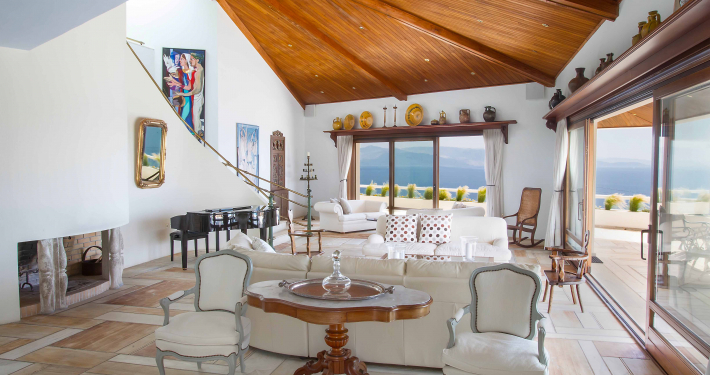 Along the same level, you meet a quaint, fully equipped kitchen, with a separate breakfast nook and a secluded garden, as well as the master bedroom en-suite. 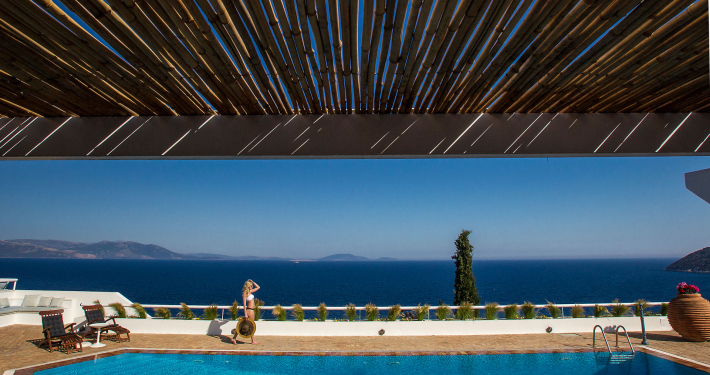 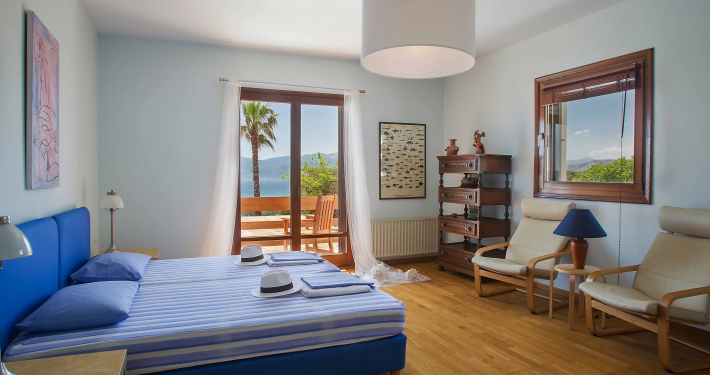 The upper level has 3 airy bedrooms en-suite, all having access to exclusive verandas with alternate views of the turquoise poolside, the bay’s cerulean waters or Nea Makri’s sparkling night lights; an exquisite site of the Athenian coast!